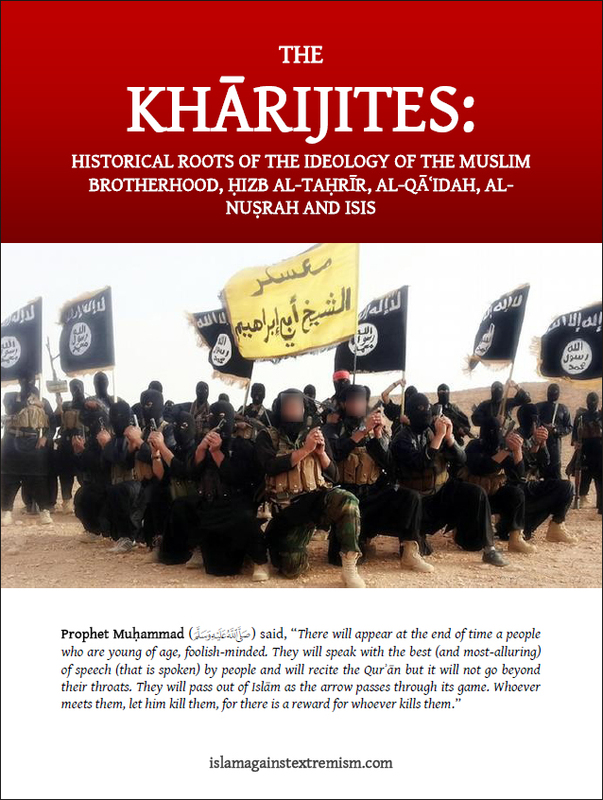 The Khārijites: Historical Roots Of Modern-Day extremism And Terrorism. 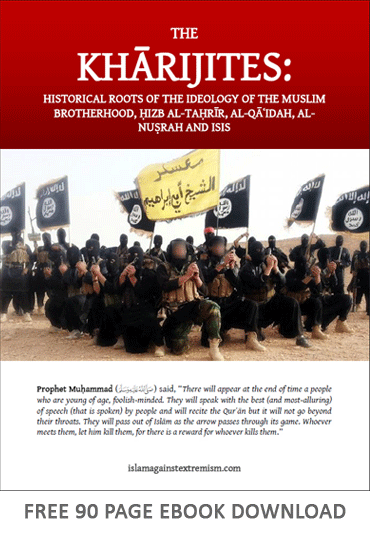 It is common knowledge to the scholars of the Muslims and their students that ISIS, Boko Ḥarām, al-Qāʿidah and others are simply another manifestation of the recurring appearance of this group that was explicitly mentioned by the Prophet of Islām. Their appearance was prophesized by the Prophet (peace be upon him) in a large number of traditions and they indeed appeared less than 30 years after him in 36H, around the year 657CE. Because this faction was intended as a trial and tribulation for Muslims in various times and ages, the Prophet (peace be upon him) spoke extensively about them, their traits, activities and their great danger upon Islām and the Muslims. The traditions in this regard are well-known and famous and have come through large-scale transmission right from the dawn of Islām. In this treatise we look at the historical events behind the emergence of this group and its subversive, destructive activities. PDF File.